A gluten and dairy free savoury snack packed with fresh courgettes and cashews. Great as a snack or with pre-dinner drinks. Available to buy in a quantity of 4, 8 or 10 pots. If you'd like a mix of Moral Fibre snacks then please see our other listings offering a selection of flavours. 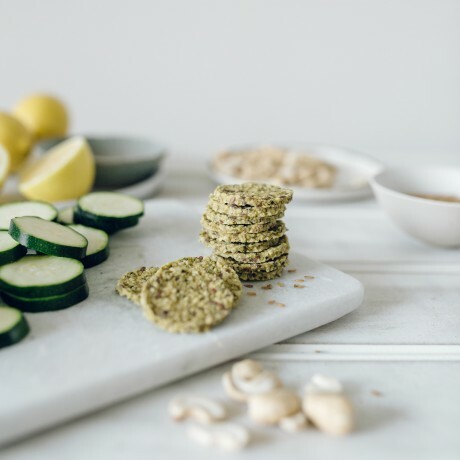 Our hand-made bites are suitable for vegans, 100% natural ingredients, high in fibre and protein, with no added sugar, preservatives or flavourings. 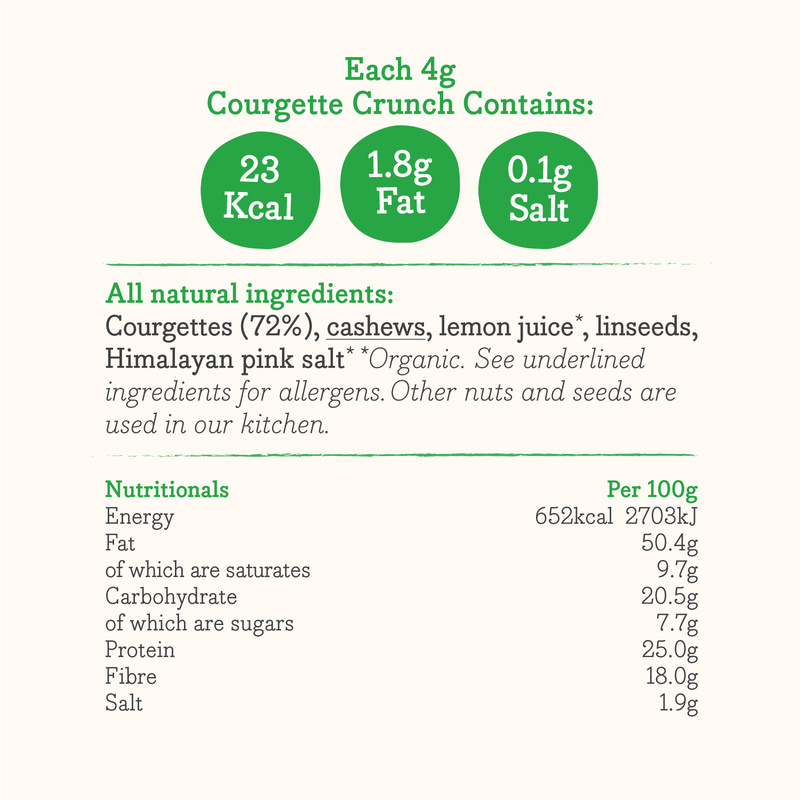 Our Courgette Crunch won two Gold Stars at the Great Taste Awards 2016. Shelf life: Up to 3 months. Courgettes, cashews, fresh lemon juice, organic linseeds, Himalayan pink salt. Love your goodies! 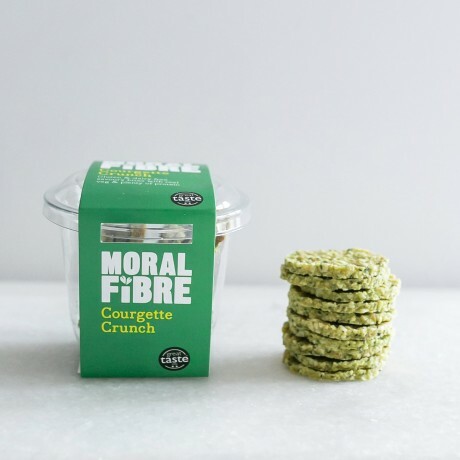 A friend was so taken with the Banana Berry Bites she took the Moral Fibre paper on the package so she could order some! My visitors absolutely LOVED your Cocolossal balls! My visitors absolutely LOVED your Cocolossal balls!! They each took the paper band with the name of your company. Tasty and very healthy. I loved all banana varieties. Even on offer still too expensive for me to order on regular basis. I bought two hampers as gifts so cannot comment on the quality of the contents. Sadly, despite ordering on a Saturday morning and choosing next day delivery, they didn't arrive until Wednesday. By which time the intended recipients had left the UK so the hampers ended up at my local food bank. A good ending of sorts I guess. I ordered some for Christmas and now we want more! I ordered some for Christmas and now we want more! 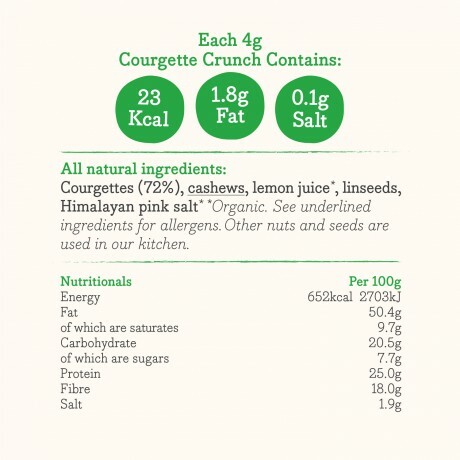 It is great to find gluten & dairy free, with no added sugar healthy snacks! Absolutely blown away by how delicious these are! These are so good, very tasty with nice kick - only problem, had to finish whole pot!! I can see why they won a good taste award. Great to find tasty gluten free option, as normally very difficult to find snacks that taste good and are healthy too. Will buy these again. Courgette version for me personally was not so good. This product is dispatched by Moral Fibre Food. This item has a shipping weight of between 120g and 570g depending on the options selected. Raw ingredients. Fabulous flavours. Guilt-free snacking.